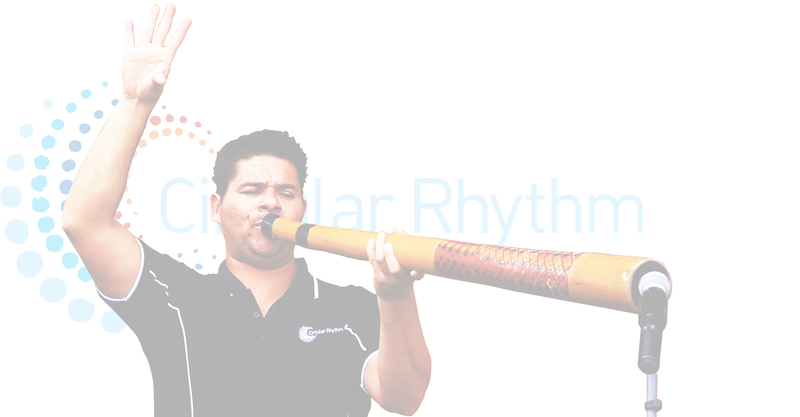 Performing to well over 2,000 kids per week nationwide and averaging 280 shows annually, Circular Rhythm is an Indigenous cultural education show created for children 3-12 years of age. 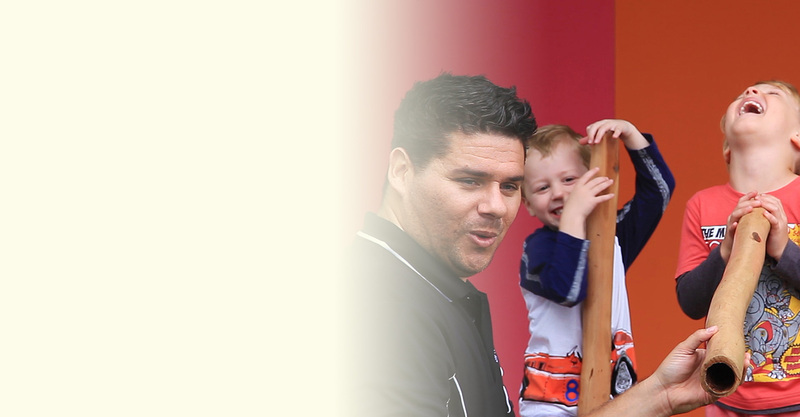 Lucas has written a crazy-cool story book series 'The Proud Foots' released with MTA Modern Teaching Aids. 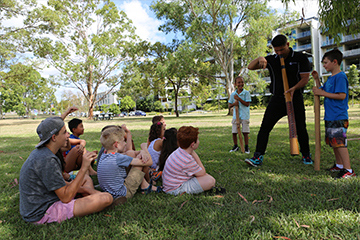 Circular Rhythm provides live Indigenous Australian musical performances to kindy and primary aged school children, as well as special education students, international students and tourism visitors. 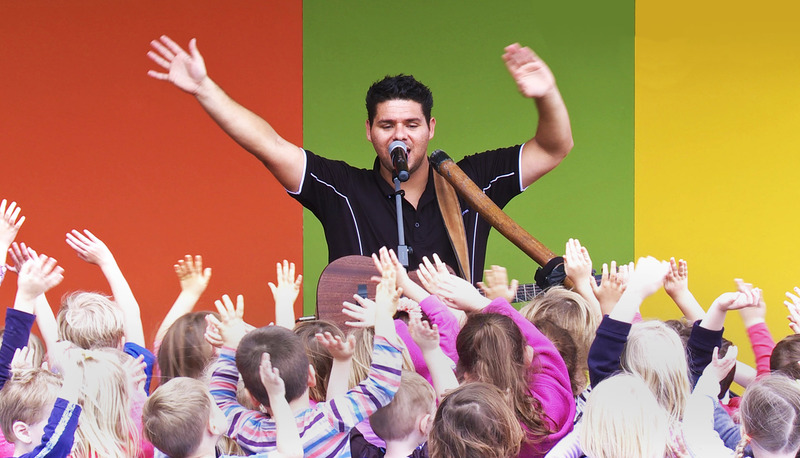 Each performance is customised to the needs of the audience and can be from 10-60 minutes in duration depending on venue and event requirements. 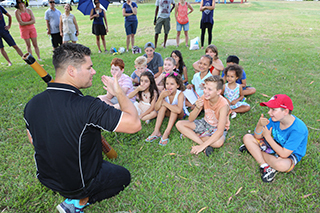 Schools, for instance, receive a 40-60min show which introduces the group to Aboriginal and Torres Strait Islander cultures through visual props and audience participation. 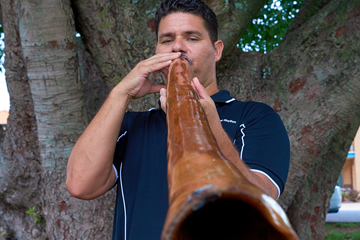 Cultural education is an underlying theme of all Circular Rhythm performances and is included in the show through the use of traditional Indigenous musical instruments, along with some contemporary additions like the Didgeribone – a sliding plastic Didgeridoo! 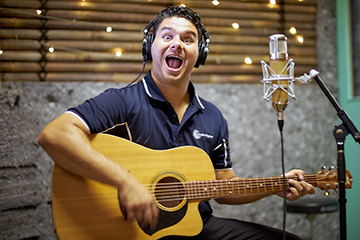 Dance and singalong to original songs written and performed by award-winning musician Lucas Proudfoot.